Roman Legion Golden Nights Bonus game is loading.. 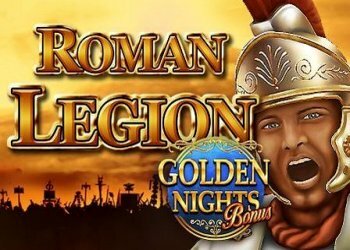 Play the Roman Legion Golden Nights Bonus slot from Gamomat and get ready to march with the almighty roman legion! Try the Roman Legion Golden Nights Bonus and let the “Horseman” award you with 10 free games and collect your wins alongside of the “sticky Soldiers”! Enjoy the additional jackpot side game. The “Soldier” is Wild and substitutes for all symbols except Scatters. The “Horseman” is the Scatter, that only appears on reel 1/3/5 only. During the free games feature any visible “Soldier” is sticky.